Isn’t it great that we live in a big city with hundreds of little convenience stores dotting the neighborhoods, allowing us to skip a grocery store trip if we only need a can of beans or a couple tomatoes? Sure, the grocery store has more options and better prices, but that little store at the corner sure is convenient, hence the name. If you’ve set foot in a convenience store in the last forty years, it’s quite possible that some of their stock came from Gil’s Wholesale. This company operated out of a warehouse at the corner of 11th & McKean for a very long time, moving to Glenolden a couple years back, in search of more space and lower taxes. Shortly after that move took place, we brought their former home to your attention, noting that it seemed like a terrific development opportunity. 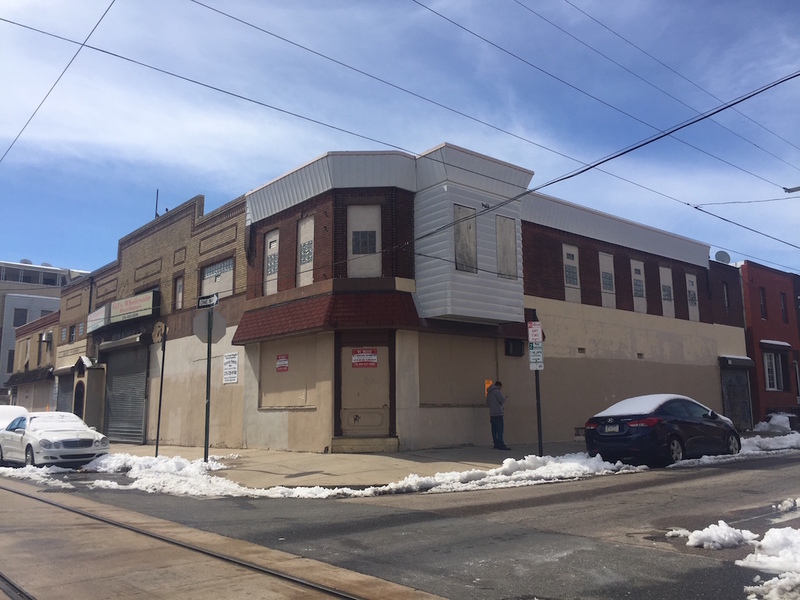 At that time, the owners were still trying to decide exactly what to do with the property, though we speculated that they would eventually sell it off to a developer. Wouldn’t you know it, that’s exactly what happened. 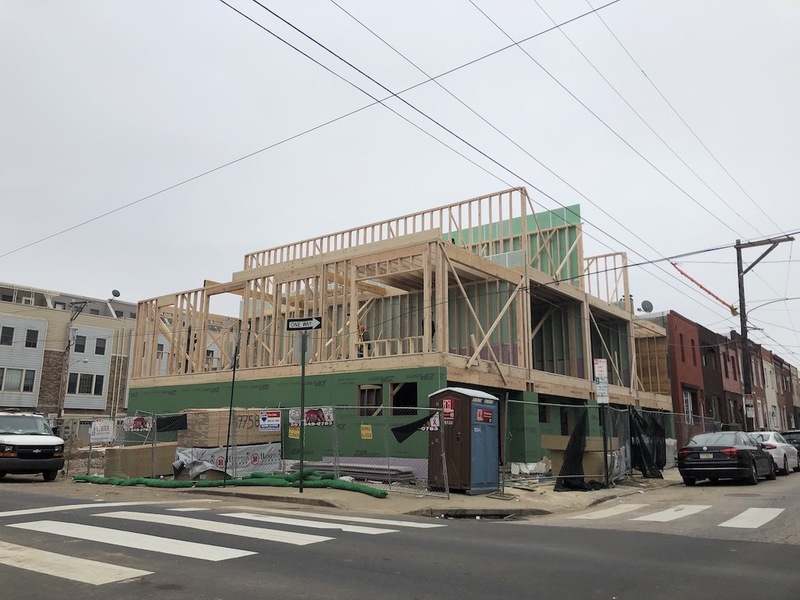 About a year ago, we alerted you that developers were planning eight town homes here, with four on McKean Street, four on Emily, and a drive-aisle in the middle. The project was still winding through the community process and needed approval from the ZBA at the time, but we suspected that some variation of the proposal would indeed move forward at this location. And once again, we were spot on in our prediction. If you visit the property today, you’ll see that the first phase of homes are already under construction. Each home will include three bedrooms and four bathrooms, with most of the homes in the development allowing for two-car parking. Canno Design did the architecture work, credit to them for the rendering above. At least one person is quite excited about the project, as one of the units is already under agreement- another is currently listed at $700K. The developer is calling the project Roman Square, a hat tip to the site’s history. Before Gil’s moved here, Roman Lumber & Millwork occupied the property for several decades. And let’s agree, calling the project Roman Square just sounds a smidge classier than calling it Gil Square. 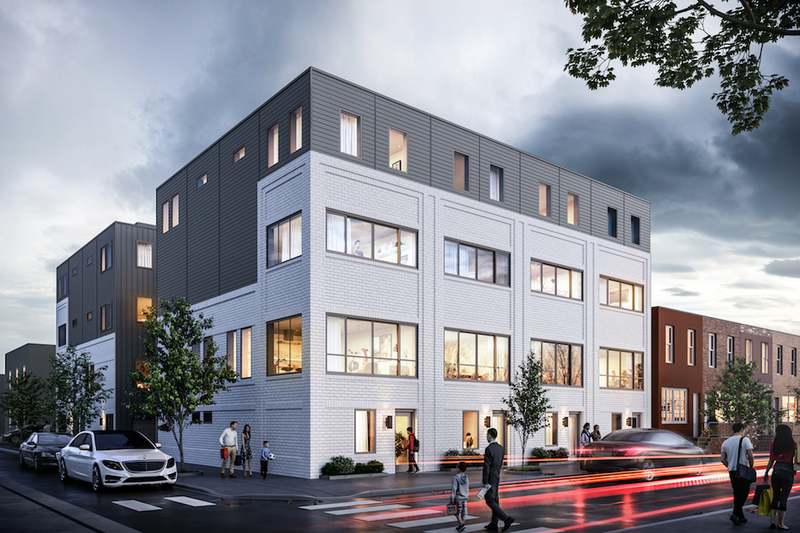 Never any power lines or trash in these renderings.